Shop at our merchants for name brand tall mens extra long jeans in 36 inch, 38 inch, and 40 inch inseams. From the classic styling of Gap to Citizens of Humanity to BKE and Rock Revival, our merchants have your next pair of tall mens jeans. Shop here for tall mens extra long jeans, and find who has jeans on sale today. Wow. One of the top online retailers has over 300 name brand extra long tall mens jeans in inseams up to 40 inches. And shipping both ways is free, so you can try several pair at no cost. Banana Republic has your next pair of extra long jeans, in their famous styling, and up to 36 inch ineams. Yes, you really can wear what everyone else is wearing! Go to each item and click on the "Tall" label. Nordstrom features extra long tall mens jeans in 36 inch inseams from AG, Mavi, Paige, 34 Heritage, Citizens of Humanity, and more. Old Navy has their famous mens jeans in extra long 36 inch inseams in a variety of styles for tall men. Now at Macy's -- 36 inch inseams and 38 inch inseams in tall mens jeans from Levi's, Silver, Nautica, Calvin Klein and more. The Gap look and feel is available in extra long tall men's jeans with extra long 36 inch inseams. Yes, you really need to visit this merchant! Use the Size dropdown menu on the left side of the page to find one of the largest selections online in YOUR size. Be sure to use the "Load More" button at the bottom of the page to see their complete inventory. 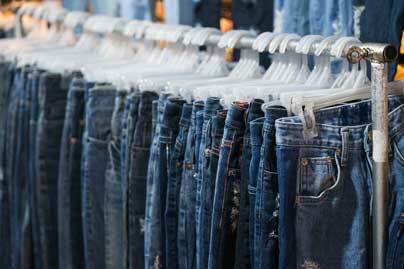 It's huge, with over 100 styles and brands of big and tall extra long jeans. The Buckle features tall mens jeans in 36 inch and 38 inch inseams from BKE, Rock Revival, Salvage, and more. The selection goes on and on, with more than 400 choices. Buy direct from Bonobos for the best selection in premium jeans in 34" inseams and 36" inseams.